British Columbia is one of the most diverse provinces in Canada and home to country’s third-largest city ‘Vancouver’. British Columbia is the westernmost province of Canada and a hub of economic growth. British Columbia’s economy mainly focuses on natural resources. The natural environment of British Columbia includes a wide range of forests and an amazing coastal climate. It renders BC, as one of the most renowned and beautiful provinces of Canada. British Columbia’s Provincial Nominee program targets such immigrants having proper experience and skills. These immigrants may receive a British Columbia Provincial Nomination Certificate, which allows them to apply for Canadian permanent residence. The processing time under this stream is much faster than any other Canadian immigration classes. Described under are two main immigration streams, through which candidates may apply to BC PNP. Those individuals, willing to invest and settle in British Columbia can apply for Canadian permanent residence under Entrepreneur Immigration stream. There are two categories for this specific program. Foreign-controlled companies may start an operation in British Columbia through this category. Almost five staff members can seek nominations under professional, foreign managerial or technical posts. Such individuals may apply for permanent residence in the province. Business owners or senior managers, who wish to invest and start their own business in British Columbia, are eligible to apply. This category targets individuals with eligible job offers and proper experience as physicians, nurses or other allied health professionals. A job offer for one of 11 qualifying health occupations is also necessary. Individuals with a valid job offer in a skilled occupation may apply under this category. Applicants must have several years of experience in their respective skilled occupation. Applicants working under semi-skilled or entry-level positions in food processing, long-haul trucking, tourism, and hospitality may apply for this category. Residents of the Northeast Development Region of BC, who work in entry-level or semi-skilled positions, may also seek permanent immigration. Individuals having graduated from a recognized Canadian college or university may apply through this category. In addition, candidates must provide a valid job offer from a BC employer to apply for permanent residence in Canada. Graduates, having Masters or Doctoral degrees in the applied, natural, or health sciences from a recognized BC university are eligible. Moreover, no job offer from BC employer is necessary to apply for this category. Express Entry BC is working in close collaboration with Express Entry immigration selection system. This allows eligible applicants to get processing of their BC PNP application on a priority basis. In case applicants receive a nomination, their permanent residence application also experiences the same treatment. Express Entry British Columbia processes the following Skills Immigration categories. The government of British Columbia announced a new Skills Immigration Registration System (SIRS) on January 27, 2016. 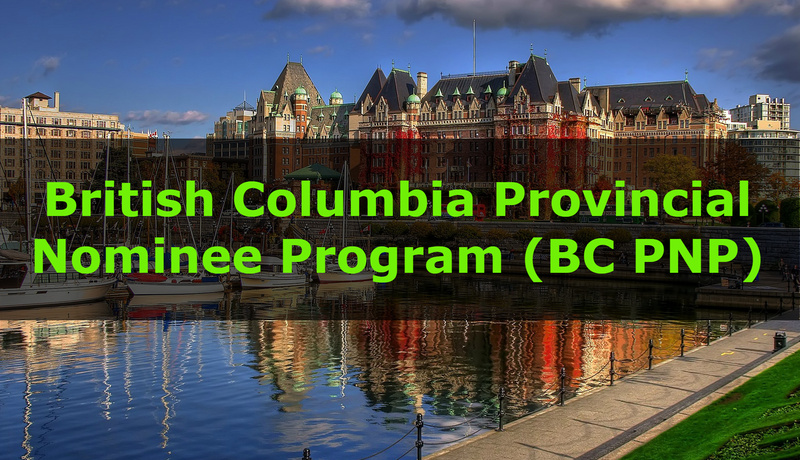 This system focuses on British Columbia Provincial Nominee Program. It comprises of a points-based system and attributes a registration score to the candidates. This score determines whether the candidate is eligible to receive an invitation to apply or not. Following are the factors, which affect this scoring criterion.